In this page, you can find information about California Workers Compensation Law coverage, including medical care, employee information, fraud report requirements and legal information about uninsured employers. Q: Do I need a Lawyer for my workers’ compensation case? A: Although you can represent yourself for your workers’ compensation case, hiring a lawyer can make the process much less stressful and far easier to navigate. Without a legal background, it can be difficult to properly complete all of the steps required for a successful case outcome. A strong working knowledge of workers’ compensation policies, as held by insurance adjusters and their legal representatives, reduces the chance of a negative outcome, like a delay or denial of associated benefits. In addition, frequent changes to the system can negatively impact you during your pursuit of coverage for your workplace injury or illness. Since it is nearly impossible to rectify missteps caused by misunderstandings of workers’ compensation case law or policies, hiring a lawyer who can sidestep those problems is often the wisest choice. You can often obtain medical care, payments and disability designations, as deemed appropriate, with help from an accomplished attorney. Make sure to protect yourself as well as insurance companies do by securing legal counsel for your case. Q: How do I find out the value of my claim? A: The extent of your injuries and length of your recovery greatly influence the total value of your claim. 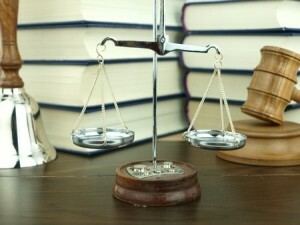 Attorneys cannot discuss a specific claim value without weighing all of the facts of your case. You can hear about estimated amounts and possible outcomes during the initial consultation, however. Although you may need to take your attorney fees out of the total claim, you cannot put a monetary value on the support and protection provided by qualified lawyers. Q: What costs are associated with hiring a lawyer? A: You will not need to pay a dime at the initial consultation appointment with your prospective lawyer. In addition, workers’ compensation cases fall under the contingency payment plan. 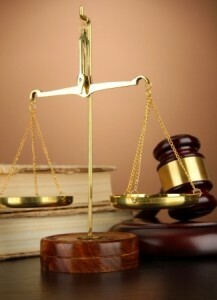 As a result, you do not pay anything to your lawyers until the case is finalized and a payout is issued. At that point, your legal representatives take their fees out of the payout amount before sending you the rest. The courts decide the total fee amount lawyers can charge their clients. In many jurisdictions, the fee equals 15% of the payout. 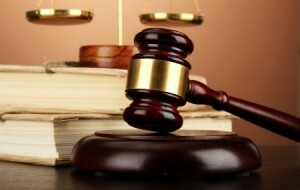 If your lawyers do not win the case, however, you will not owe anything for their services. Workers’ compensation attorneys who ask for money upfront are breaking the law and should not be hired to represent you in court. Q: Do I need to pay money for the initial consultation? A: The initial consultation with your selected lawyer is always free. Since the contingency fee plan covers payments, you will not owe any money out of your own pocket. After the case concludes with a positive outcome, your lawyers receive direct payment in full out of the settlement before you receive the remainder. Q: Are there alternatives to coming down for a consultation if my injuries prevent travel? A: If you cannot travel to the consultation appointment, a lawyer will come to your home to complete the meeting. You can call to make an appointment and an attorney will usually come out the same day. Q: Can I lose my job by filing a workers’ compensation claim? A: Employers cannot legally harass, punish or fire an employee for filing a workers’ compensation claim. If you experience any of those issues after an on the job injury, you may receive a consult with a lawyer to discuss the best way to handle the situation. Q: Do your legal representatives have experience in similar cases? A: Our legal representatives have helped thousands of clients fight for a positive case outcome in the local court system. Decades of combined experience with workers’ compensation cases give our group of lawyers an edge over the competition. As members of the Consumers Attorneys Association of Los Angeles County and California Applicants Attorneys Association, we always handle each case with the necessary amount of skill and expertise. Nearly a decade of non-profit work helps us hone our skills in court while helping others win their workers’ compensation cases. Q: If I’m not satisfied with my current attorney, is it possible to retain a different legal representative for my case? A: Yes, clients always have the right to secure a different legal representative if their current one does not meet expectations. 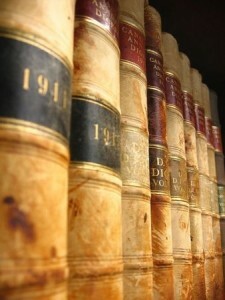 If review of the file reveals case neglect, it is often best to immediately switch to a more attentive lawyer. Otherwise, it might be beneficial to stick with your current attorney to finish out the case strong. To make the switch, you just have to file a request and the new lawyer’s office will perform the necessary steps to make that happen. Q: Are the doctors assigned to provide care for my work related injuries trustworthy? A: No, most of the doctors assigned to workers’ compensation cases by the insurance company are tasked with returning people to work as quickly as possible. Sometimes, that means rushing treatments or removing work restrictions too early. After all, physicians employed in the workers’ compensation medical network must maintain good working relations with the insurance company and employers to stay in business. By securing your own physician as a designated provider, you can receive unbiased care, which may reduce the chance of complications due to a hurried recovery. You can set up care with a different doctor with help from your attorney. Your attorney will handle sourcing a doctor inside of the medical provider network to find appropriate care for your injury or illness. Q: What are the benefits of hiring a workers’ compensation lawyer? A: Your workers’ compensation lawyer will fight to maintain your rights when employers, doctors or insurance companies do not follow the rules and guidelines. Lawyers use their legal expertise to navigate complicated rules and regulations that could derail your case. Furthermore, the lawyer’s excellent handle on the law can ensure you receive the proper amount of compensation for your injury or illness type and severity. Your lawyers will handle all correspondence with the insurance company and their legal team in an effort to reduce stress that could complicate your recovery. If the assigned doctor tries to refute the injury or illness claims, your legal team will produce evidence that proves otherwise. You can trust your lawyers to direct you to the proper channels for medical care to strictly follow the guidelines listed in the Labor Code while obtaining injury or illness documentation that can be used in court. Q: What is the origin and purpose of workers’ compensation insurance? A: Just over 100 years back, social insurance reform produced the workers’ compensation system. This system protects workers who develop an illness or injury on the job despite presumed fault. All workers that suffer harm while working are eligible to receive benefits that bolster recovery, including medical care, through the workers’ compensation department. Employers secure a workers’ compensation insurance plan for their company to prevent lawsuits that arise due to employee injury stemming from negligence. Instead of filing suit, workers can simply make a claim against the insurance plan to receive fair compensation for their injuries. To obtain a fair amount of compensation, workers must secure a lawyer who can help determine the correct benefit amount. Q: Can I switch to my own doctor for diagnosis and treatment of an on the job injury? A: When functioning within the confines of the assigned medical provider network, it’s possible to select three physicians to provide care. If you suffer a serious injury, a second opinion may be authorized within the system. Furthermore, all disputes are investigated and resolved by the state’s medical examiner. Q: Am I entitled to receive medical care and treatment as part of the coverage? A: Yes, according to the California Constitution, you are able to obtain medical treatment for injuries or illnesses sustained at work. You can continue with treatments until you are fully recovered from the condition at hand. The employer must act swiftly to provide injured employees with access to medical care upon first report of the situation. According to the 2004 rule changes, all workers’ compensation cases operate under an employer run system. Under this rule, employers designate a particular medical network to perform all diagnostic tests and treatment services. Unfortunately, this system often works against the injured party’s best interests. Thankfully, you can better navigate the physician selection process by obtaining help from your attorneys. You can always change physicians to a different in-network doctor if the initial selection does not pan out. You are able to select any doctor for care if the courts deny your workers’ compensation claim. Q: Will I receive payments for temporary total disability? A: Your physician will determine your capacity for performing normal job duties throughout your recovery period. To welcome you back on the job, your employer must work within these confines to identify modified tasks you can perform. If your employer cannot create a modified position that follows the physician’s orders, you may receive the Temporary Total Disability Benefits package. The benefits provide you with pay every two weeks. The amount of each payment often equals two-thirds of your prior pay rate with a maximum bi-weekly payout of 881.66 dollars. Accepted claims are paid until you recover or up to 104 weeks max. If you cannot receive workers’ compensation benefits, you may go on state disability for up to one year. Q: What are the requirements for permanent disability payments? A: Permanent disabilities stemming from damage incurred on the job may reduce your earning abilities for the rest of your life. In this case, you may be eligible to receive permanent disability payments to reflect your reduced capacity to earn money. The payment amounts and duration reflect the severity of your disability, as indicated by your doctor as a percentage of your former abilities. The amount indicated by the doctor must be approved by the medical examiner or the judge will make the final ruling. If you suffer from a 100 percent disability rating, the payments will continue throughout life with frequent raises to keep the payouts in line with inflation. Disabilities percentages between 1 to 69 percent often net 230 dollars a week. The remaining 70 to 99 percent receives 270 dollars in compensation each payout. This rate changes according to workers’ compensation policy adjustments over the years. Since the examination process reveals the amount of disability you deal with due to the injury or illness, it is important to stay completely honest and avoid compensating for your movements by doing them in another way. Unfortunately, you will not receive money for pain and suffering or inconvenience during your recovery period, just disability benefits and medical care as deemed appropriate. Q: How do I proceed if my workers’ compensation claim is denied? A: A full investigation often spans the initial ninety day claim hold period. 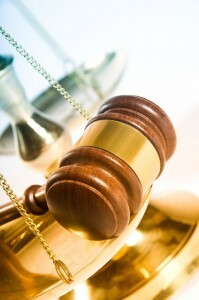 After that, the agency may accept or deny your claim based on the collected evidence. If you receive a denial, and do not agree with the findings, you must dispute the decision by proving that an injury occurred during work hours at a place where you were lawfully employed. Denials often stem from a lack of official employment, such as the case of independent contractors, or preexisting conditions that may have contributed to the development of the injury in question. You can also receive a denial decision if you missed any steps or signatures in the claim application process. Upon receiving a denial letter, it’s smart to file a claim with the disability office for the state. For this application, you must also provide medical documents detailing your injury or illness. If you want to challenge the workers’ compensation decision, you will have one year to file an appeal, called the Application for Adjudication of Claim, with the board before your claim is closed for good. Q: Am I allowed to work while recovering from a workplace injury or illness? A: Returning to work does not usually disrupt the workers’ compensation claim process in any way. You can still apply for permanent disability payments and receive medical care after going back to your job. The disability benefits reflect a reduction in earnings capacity, not an inability to work. Remember that your physician will need to identify your personal disability percentage, which reflects your reduced capacity to perform your job as expected. If you’re still under doctor’s restrictions, you will only be able to return to work if your employer creates a modified plan that adjusts your job duties. Q: How are workers’ compensation cases resolved? A: After recovering from your injuries, with or without lasting disabilities, you can settle the case in one of three ways. The first way includes heading to trial to present evidence and arguments to the judge, who will make the final decision on benefit rights and compensation totals. The second settlement type is an agreement to drop the case in exchange for a lump sum amount. The benefit options end with this reward, though workers may still be eligible for vocational retraining provided by the insurance company. Employees must make sure they do not need further medical care before accepting this settlement type. The third method provides the employee with a lifetime of medical care and permanent disability payments that occur on a bi-weekly schedule. With this option, the injured employee can reopen the case at any point in the five years after the settlement date by filing an official petition. Q: If my doctor releases me to work, can I continue to receive medical care? A: No. A release from care issued by your doctor indicates you are recovered enough to end treatment efforts for your condition. If you feel the release was issued too early or by mistake, you may need to receive an examination by the medical examiner to reinstate treatment. You may also need to bring your request in front of a judge to receive an official decision about resuming medical care. Q: Can I file a personal injury suit against my employer in addition to the workers’ compensation claim? A: No. Workers’ compensation claims replace the lawsuit option in full, even when the employer is deemed at fault due to negligence. If the employer in question does not hold a qualified workers’ compensation insurance plan, however, you can file a civil suit in addition to filing a claim. All other negligent parties can also be sued in court at this point. For example, if the injury or illness was caused by materials or equipment provided by a separate entity, the manufacturer and supplier might be listed on the lawsuit as well. All claims against these parties must be filed within two years to avoid the statute of limitations. The process to sue government entities involves submitting written documents within six months of the incident that led to illness or injury to avoid outright dismissal. Since time is of the essence with the majority of the lawsuits, it’s important for injured employees to contact a legal representative immediately after the incident occurs. Q: Can I file any other lawsuit against my employer to obtain compensation for my injuries? A: Unless your employer is illegally uninsured, you cannot file a lawsuit against him while filing a workers’ compensation claim. Instead, the workers’ compensation insurance takes place of the lawsuit to provide you with various forms of compensation for your injuries, including medical care. Fault does not come up for either side when handling injuries through the workers’ compensation system unless a third party is involved. Cases involving car accidents or equipment failures can result in a lawsuit against that third party while you receive care and compensation from your employer’s workers’ compensation coverage. Q: What kinds of treatments are provided through workers’ compensation coverage? A: You are entitled to receive all of the diagnostic tests and treatments required to resolve your medical condition. All of the medical services are to be provided without any expectation of payment from you. 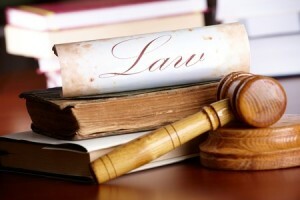 Limitations are handled on a case-by-case basis and will never impede a full recovery in any way. Q: How should I handle employer requests to continue my job duties during recovery? A: Employers are required to work within the doctor’s requirements to ensure you safely recover from the illness or injury obtained at work. If your employer insists on your return to normal job duties, provide a gentle reminder of the doctor’s requirements. If the demands continue, talk to your attorney to find a suitable resolution. Q: Am I required to report on the job injuries or illnesses to my employer? A: Yes, all employees must report incidents ending in injury or illness to their supervisor or the company owner. Employers must give you a claim form to complete and direct you to the nearest medical care facility. Keep track of all correspondence with your employer from this point on to share the information with your lawyer as needed. Q: How should I handle negative repercussions from my employer for filing a claim? A: Employers who do not provide a claim form or access to a doctor are breaking the law. You should still go see a doctor right away to start the diagnosis and recovery process to avoid serious medical complications. If you are released from your position at work, speak to an attorney about those unlawful actions on the part of your employer. In some unfortunate situations, it is necessary to file a wrongful termination case with help from a qualified attorney. Never agree to pay cash or use a different form of insurance for injuries or illnesses that occurred on the job. Q: Can I retain my position at work even after filing a workers’ compensation claim? A: Yes. After filing a claim, you do not need to take time off work or modify your job duties unless your doctor orders it. Q: Am I allowed to file a claim if my employer provides pay as cash only? A: Yes. Workers’ compensation claims are not invalidated by the acceptance of cash payments for work performed. This payment type can make it a bit more difficult to prove employment unless you can provide pay-stubs or deposit slips as documentation of your employment. Q: Can I file a claim if I’m not a resident or am illegally employed? A: Yes, if you are working illegally or are not a resident, it’s still okay to file a workers’ compensation claim after injuring yourself on the job. You may need to provide proof of employment through pay-stubs or time cards if your employer tries to deny the working relationship. Q: Are volunteers allowed to file workers’ compensation claims? A: No. As with independent contractors, volunteers are not eligible to receive workers’ compensation coverage after an incident that results in illness or injury. Q: If I die, how are claims handled? A: If a workplace injury or illness takes your life, your family may file for death benefits through the workers’ compensation department. Your family can open a case in your honor by talking with a lawyer within the designated amount of time. Q: Does workers’ compensation cover mental injuries in addition to physical harm? A: Although physical injuries occur most often, it’s possible to open a workers’ compensation case for mental anguish as well. Any situation that causes an enormous amount of stress, leading to mental harm, may qualify you for benefits, including assaults and exposure to disease. Q: How are claims handled if the injury or illness was caused by my employer’s purposeful actions? A: Since the workers’ compensation claim process replaces lawsuit actions against employers, there’s a Serious and Willful Cause of Action clause you can activate when faced with severe negligence or purposeful action leading to illness or injury. Q: Will my employer be punished if the injury or illness was purely accidental in nature? A: No. Fault doesn’t come into play when activating workers’ compensation benefits, unless your employer purposefully caused your illness or injury. Q: How will the workers’ compensation proceed if I carry fault for the injury or illness occurring? A: Despite sharing fault, your eligibility for benefits will stand. Except in cases of extreme negligence or purposeful harm, workers’ compensation claims do not weigh fault when awarding benefits. Q: How are previous injuries separated from the ones that occurred on the job? A: All previous injuries must be accounted for at the beginning of the claims process. Note it on the application form and inform your doctor of the prior injuries to that area. Although you will still receive workers’ compensation benefits, your doctor may indicate a portion of your lasting disability pertains to those prior injuries. Q: How does a criminal record affect the proceedings? A: Criminal records do not come into play during the workers’ compensation application and fulfillment process. Q: Does workers’ compensation cover all types of injuries that happen on the job site? A: Yes, workers’ compensation insurance provides benefits for any type of onsite injury or illness. You can talk to your attorney about your unique case to verify you meet eligibility requirements.